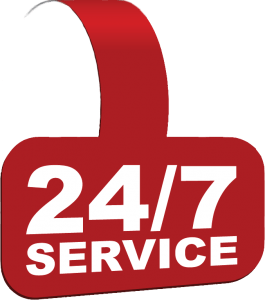 When you experience a water damage emergency in Hemet, CA and surrounding areas, PL Builders is the Hemet emergency water damage company you can count on 24 hours a day. No matter when you call, a member of our water damage restoration team will answer and respond quickly to your water damage emergency. Our technicians are water damage repair and restoration experts, capable of water extraction and water remediation services for even the most extensive water damage situations. We proudly assist residential and commercial customers in Hemet, CA and nearby service areas. When you need professional water damage cleanup, water damage repair, and water damage restoration in Hemet, CA, contact PL Builders. Upon arrival to your water damaged property, our priority is elimination of the source of water damage. This may mean fixing a pipe, unclogging a drain, placing a tarp, or using powerful water extraction equipment. Whatever the cause, PL Builders is the Hemet emergency water damage company with the proper tools to perform water damage remediation from any source. We next remove any standing water you have and inspect your property thoroughly, providing you a quote for water damage repair and water damage restoration in Hemet CA. No matter what has been damaged, PL Builders can make repairs, both inside and out. Whether roofs and ceilings, foundations and support beams, paint and trim, or anything else needs water damage repair in Hemet, we are up to the task. A member of our team will even work directly with your insurance company to see that damaged or destroyed personal items are restored or replaced for complete water damage restoration in Hemet, CA. Contact our Hemet emergency water damage company online or call (951) 228-0733 24/7 for comprehensive for water damage cleanup, water damage repair, and water damage restoration in Hemet, CA. PL Builders is always on call for emergency water damage restoration, repair services in Hemet, CA and nearby cities and towns.